Ships pre-assembled; even shelves are already in place! 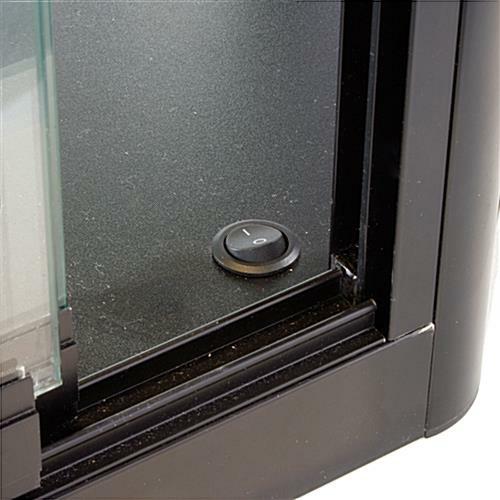 Sliding, locking doors keep merchandise safe! 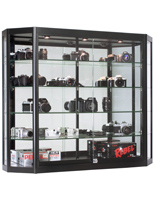 Display cabinets, likewise recognized as glass displays, are crafted from black powder-coated aluminum and tempered glass panels. 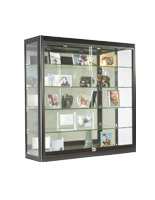 The display cabinets characteristic four fully-adjustable, rubber-cushioned, tempered glass shelves, with a maximum load of 30 lbs. each. 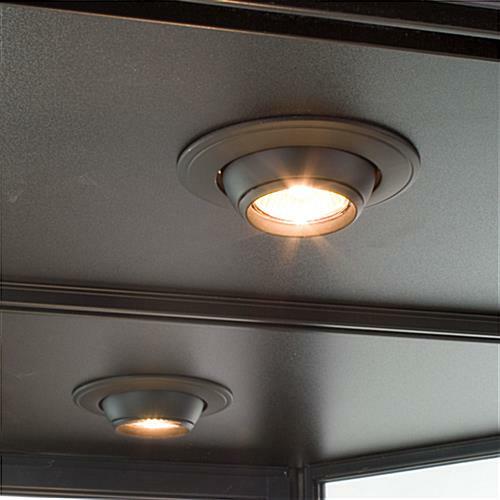 To accentuate exhibited articles, the showcases are fitted with four 20-watt recessed eyeball-style halogen top lights, and a mirrored back. 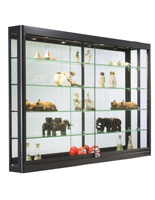 This is one of the grandest wall-mount display cabinets supplied, measuring 60"w by 39" high and 12" deep (twice the depth of traditional display cabinets). 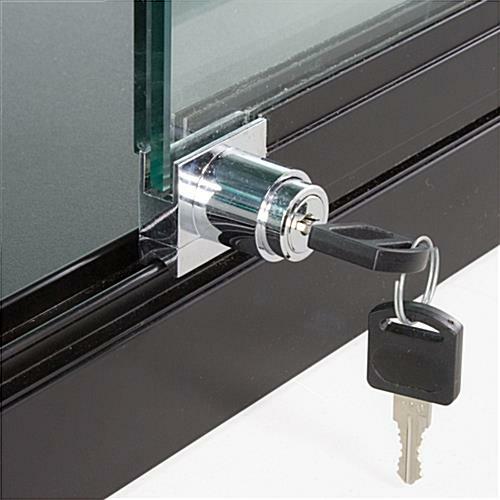 The glass displays characteristic sliding doors with a plunger lock to permit entrance only to authorized individuals. 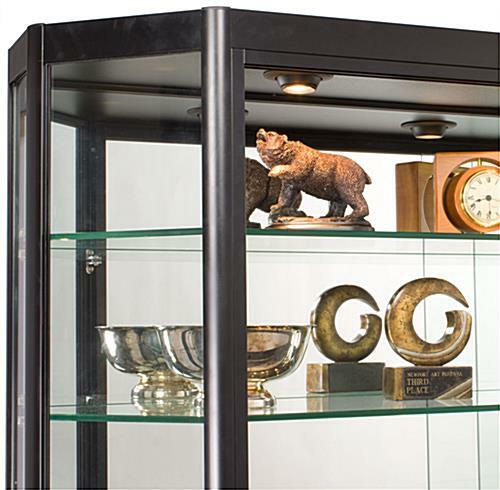 These memorabilia displays ship fully assembled so you merely have to hang it on a wall with (2) provided z-bar mounts and fill with sports memorabilia, trophies, collectibles, electronics, or jewelry. Mounting hardware and Mounting Instructions. 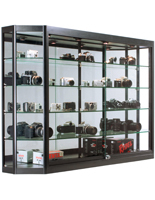 These angled-front display cabinets are an ideal option for jewelry stores, but could also be utilized in gift shops, a business lobby, or department store. 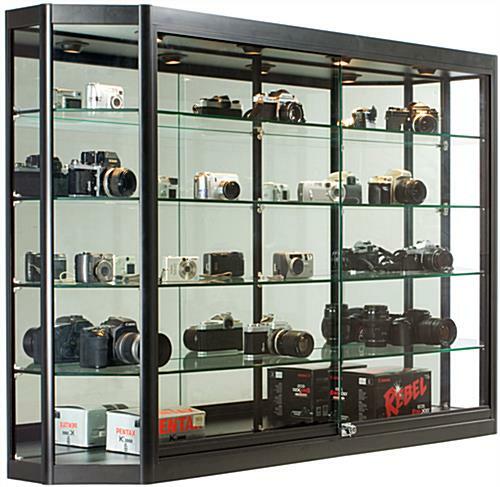 The extra-deep showcases will proudly display jewelry, makeup, electronics, eyewear, souvenirs, action figures, sports memorabilia, trophies and many additional! 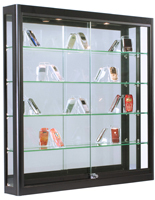 Wall-mounted display cabinets are an superior option for teeming, small or congested commercial places. 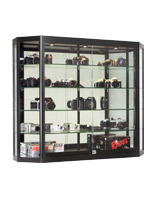 The showcases employ wall area, rather than floor area, leaving your store more open for the free flow of traffic throughout. 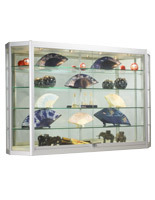 These glass displays, display cabinets can be wall-mounted in the back of a checkout, service or sales counter to exhibit highly priced or fragile articles, or merely to inspire impulse purchases at the time of checkout.